Each year during the first week of school, the Student Life office asks our 1L’s to complete a brief survey about their experience with New Student Orientation. The survey serves as a tool to help us refine the NSO experience and also gives us a small glimpse into the makeup of the class. To entice the students toward strong participation, we create a friendly competition across the sections involving response rate. This year Section C was the winner with a response rate somewhere around 80%. 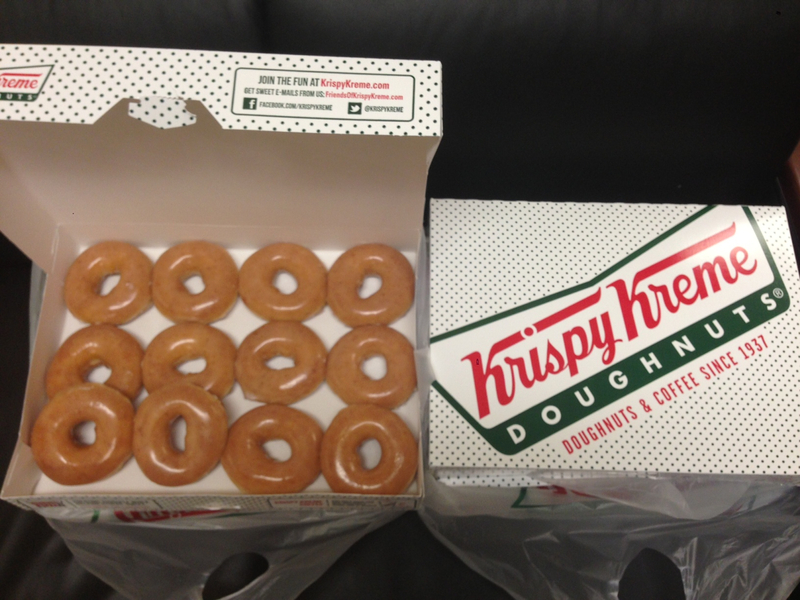 As a way to thank them, Dean Sturgeon and I brought 6 dozen boxes of Crispy Creme donuts and dropped them off just at the end of Professor Ogden’s Civil Procedure class. As you can image, we were greeted warmly (I think there were even applause). It’s always fun to be able to be at Pepperdine but the chance to put a smile on students faces is certainly one of the best parts of our day! 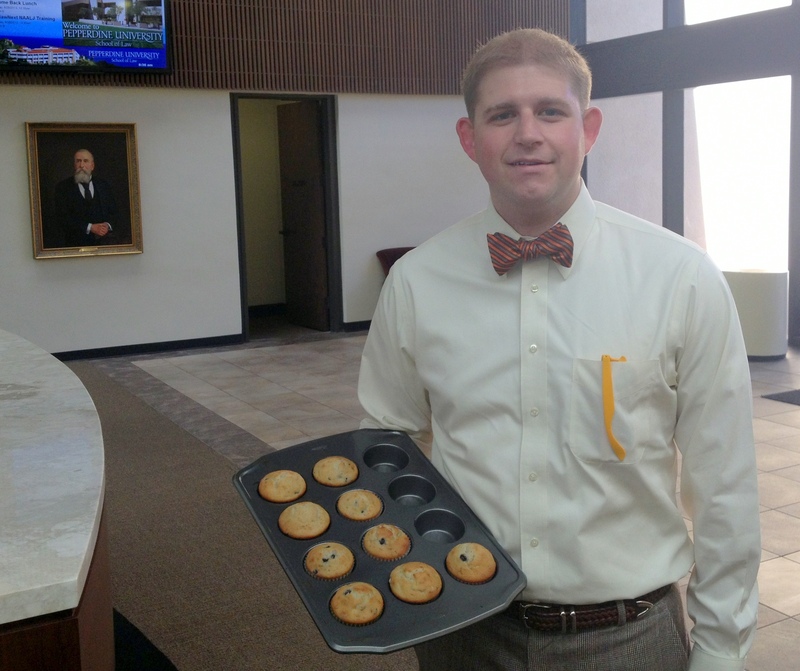 Each morning, around 8am, a pan of home-baked muffins arrives at the law school’s reception desk for anyone that wants one courtesy of William. While first-year law students traditionally arrive at school worried about whether they are sufficiently prepared for class and/or whether they will be called on by the professor — at least that is the way I arrived at school as a 1L — William arrives to brighten the day for others. He has done so each day, beginning with the very first day of class. By the way, if you are wondering about the bow tie, William is also a part of a group of students that decided to launch “Well-Dressed Wednesdays.” Each Wednesday, you will see them in suit and tie ready for class. I just happened to catch this picture of William delivering the homemade muffins on Well-Dressed Wednesday! 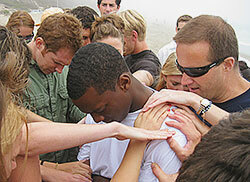 Pepperdine is a special community where people really do look out for one another. Stories abound, but I must say that William’s addition to these stories is a new one on me — and a very cool one I might add. When I say how excited I am to meet the new students each year, I’m not just being nice. It is a privilege to meet the remarkable people that this law school seems to attract. 1L Section representatives election starts today! Today marks the start of our first set of Student Bar Association Elections. 1L’s can now nominate themselves to serve as 1L section representative for the year. In this role, three students become a part of the governing student body (SBA) with responsibilities including activity planning, communication and representing their respective sections to the Student Life office and Dean’s administration. After nomination packets are submitted, a weeks worth of campaigning culminates with speeches in the Law school cafeteria during lunch. After speeches, the e-polls (online voting) open for the duration of the week. The election representatives will be announced on September 9th and began working immediately with their fellow SBA members. I’m especially excited about all the interested 1L’s we have this year. In my experience, participation is always a good indicator of the kind of involvement we’ll have with future events. Since Pepperdine is a law school rooted in the Christian tradition, it is unsurprising that spirituality is an important component of student life. While individuals from all faith traditions (and those with no faith tradition) are welcomed into the Pepperdine community, the Christian foundation of the law school is visibly expressed in a variety of ways. Go HERE to read about some of those ways. 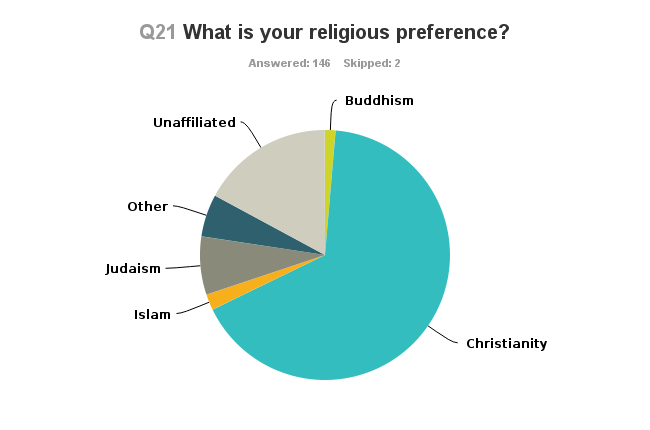 We surveyed our incoming class each of the past two years to get a feel for the religious preferences of the new students and found a striking similarity between the two classes. Professor Robert Anderson is a member of our esteemed faculty. Within the law school, Professor Anderson is considered a resident expert on statistical analysis. Professor Anderson maintains a blog, and recently, he published an interesting entry titled, “What are my chances of passing the bar?” I am sure this will be of particular interest to our alums who took the July bar and have to endure the cruel wait until results are announced in November. But everyone can play along to determine the odds of passing the bar in a particular jurisdiction. Click HERE for this interesting blog post and resource. End of the first week of School/I survived the first week! Today marks the end of the first week of school and while most all of our students seem to enjoy the challenge of law school. Lots of them are tired!!! Nonetheless, that’s not going to stop them from going out tonight! Over 300 students are signed up for tonight’s first big SBA event. The “I survived my first week in Law School” party at Cosmo’s in Hollywood. The Student Bar Association rents two buses to drive the students to and from Hollywood in what typically is a really fun time as students engage off campus with their classmates for the first time (formally). Of course, professional conduct is always encouraged and students (some would say surprisingly) do a great job of “policing” other students if the need arises. The school year is off to a great start! I’m looking forward to continuing the trend in the weeks to come! A Wednesday evening gathering of Christian law students is a longstanding tradition at Pepperdine. Last night began the second year that Professor Jim Gash and his family will host this weekly event (pictured above). This year, two of our 3L students, Stephanie Lamphere and Luke Baty, will lead this gathering by securing speakers and leading songs, respectively. Another 3L, Sarah Thornsberry, the new president of the law school’s chapter of the Christian Legal Society, will make sure that the students that gather are updated on the many CLS activities that occur throughout the year. We’ve just started day three here at school and things are really buzzing, lots of students making last minute changes/adjustments to their class schedule and many more enjoying being back on campus with all of their friends. 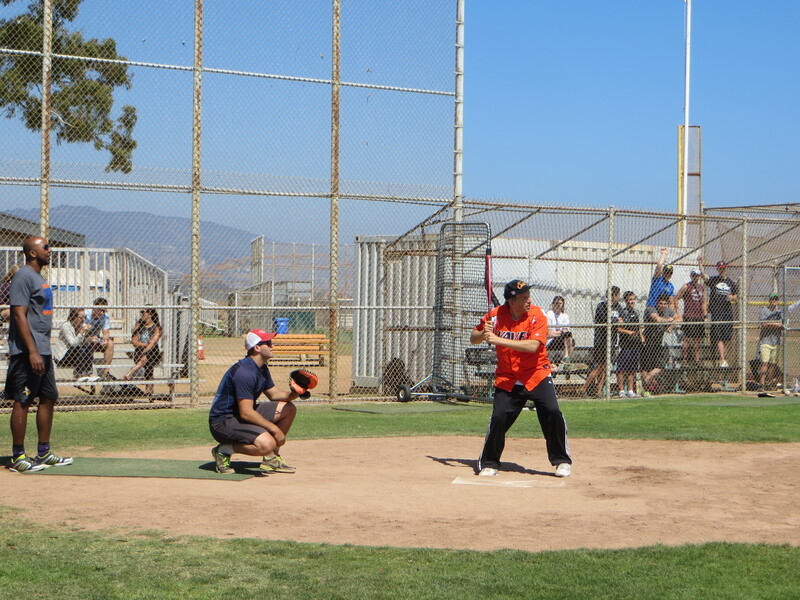 As I mentioned last Friday, the Faculty/Staff vs. 1L Softball game took place at the beautiful Malibu Bluffs State park http://www.ci.malibu.ca.us/DocumentCenter/View/632. It was a perfect day for fun with sandwiches and drinks being provided by SBA. The men’s baseball team even let the faculty/ staff wear their storied “Orange Crush” jerseys! The Student team came out swinging and won the first game 6-1 but the fearless faculty decided it would be best to play one more (never a doubt unless they won the first game). In the second game Professors Gash, Scarberry, Taha, McDonald, and Reed combined with Dean Sturgeon, Clinical Director Jeff Baker and staff members Dana Zachariah, Ashleigh Martell- Brunsick and Randi Saxer for a strong 7-2 win to make sure everyone stayed happy! Most importantly (to me), everyone had fun and there were no major injuries (although some might be a little sore still). Also, I should mention that the faculty team did bring in a ringer in the second game…2L and former Div 1. baseball player, Jason Brooks. Let’s just say he had a small role to play in winning game two. Last spring, I had the honor of presenting several of our students as scholarship winners at the CPA/Law Society of Ventura County 2013 Scholarship Awards. The CPA/Law Society has been gracious to include our students in their annual event, and I was honored to introduce such great students to this fine organization. At the same time, I was honored to present Conor, Joseph, Morgan, and Kelsey as fantastic representatives of Pepperdine Law. Recently, the CPA/Law Society released a video of interviews and a photo album from the event. You can go HERE to the homepage to watch the video (found in the lower left part of the page). Our students’ interviews are found at the 1:04 mark and the 9:55 mark. You can go HERE to see the photo album from the event. Today is a big day for a lot of people I’m sure, but none more so than the couple hundred first-year law students — “1Ls” as we call them — that are about to enter the doors of the Pepperdine University School of Law for their first day of class. They survived the admissions process and our orientation. Now, it is time to really get started on this journey. The 1L class is divided into three sections — Section A, Section B, and Section C — and for the most part, they will be in class with their “section” for the entire year. Lasting relationships between classmates and with the professors that teach them will begin today. On this first day of class, our 1Ls will have two classes — Civil Procedure this morning, and Torts this afternoon. It is a big day. I am excited.